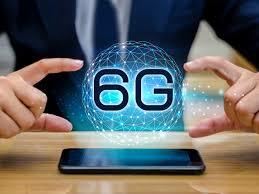 China working on 6G- Is 6G even possible? 6G in such a short period of time. Is it even possible? The topic itself is so vague. As we can see that mobile technology has been upgrading day by day. People these days have become so dependent on technology that they are willing to spend a lot in newly released devices. They have started using technical devices to keep personal records, for business purpose and even for maintaining their professional life. Before talking about 6G, let us go through some throwbacks. At the very beginning, 1G technology was introduced in the 1980s. But being the first technology the voice call was only allowed in one country. The speed was only upto 2.4kbps with poor battery life and absence of security. 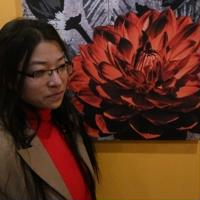 In order to overcome these limitations, 2G was introduced. It was based on GSM (Global System for Mobile Communication) and provided better voice quality and capacity along with various services such as text messages, picture messages and MMS (multimedia message). The data speed was ranged upto 64kbps. But this technology was also unable to handle complex data such as videos. Slowly after a certain time period, 3G technology was launched with data transmission speed increased from 144kbps-2Mbps. It provided faster communication, sends/receives large Email messages, high-speed web, more security, 3D gaming, and many more. But it also had some challenges of high cost and high bandwidth. For solving this problem 4G was introduced with the capacity of 100Mbps – 1Gbps speed. The technology was able to be accessed from anywhere at any time and had higher data rates and expanded multimedia services. Most of the countries such as the US, Sprint Nextel, and Others Germany, Spain, China, Japan, and England found to be using the 4G services and mobiles. Later on the new technology, that is 5G technology has been expected to arrive in 2020. It is known to be a complete wireless communication with almost no limitations and is highly supportable to WWWW (Wireless World Wide Web). It is expected to have high speed with faster data transmission and provide large broadcasting of data in Gbps. Not only is that it supposed to be able to connect with machines like gadgets, industrial machines, and autonomous vehicles. Most of the country such as Japan, the US, Turkey, China has planned to launch them in 2020. Till now only a few countries have been able to get their hands on this recent technology and China is already starting to work in future, that is 6G technology. Su Xin, head of 5G technology working group at China’s Ministry of Industry and Information Technology, says that China is starting their research in 6g concepts this year. The country first started their research in March, making the first one to do so. Su says that the actual development will begin in 2020 and the commercial use will most likely have to wait until 2030. So, what exactly does 6G refers to? Since it would be the latest technology, we can assume that it could make mobile internet speeds of 1TBps, which means around 100 movies can be downloaded within a second. This is much more worth than the present research that has been held in the University of Surrey in England. But as we can see that 2030 is a long way to go, actual applications are very hard to imagine. According to Su, '6G' could achieve better application in all the scenarios-large bandwidth, low latency, and wide connection compared to that of 5G. Also, it could be able to connect our devices more efficiently. It took 10 years for 5G to develop its sets of standards, and are still not fully settled. So, we might wonder: Is 6G even possible? But once 5G is spread worldwide, the new technology must arrive without any doubt. That has been the nature of technology, find the faults and upgrade them. The field of technology is developing day by day along with the various researches being carried out. People are always eager to use new products. They are not satisfied with the present level so they move on to the next one. It’s just the time that matters. Countries and people are always willing to develop themselves and advance their technology, so this new technology is also possible. But when it is yet to be predictable.